We're seeing a massive shift in Warner Bros.' slate of DC Comics movies. Following on the heels of The Batman's release date, plus confirmation it will be without Ben Affleck, comes word that James Gunn's Suicide Squad film will be arriving less than two months later on August 6th 2021. 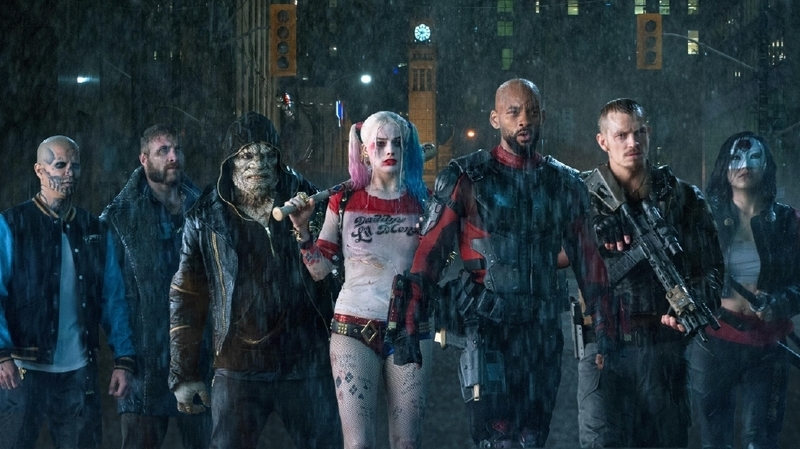 Gunn's film has been titled The Suicide Squad, and if that doesn't sound like a sequel, well, it's because it's not. It's being called a "relaunch" by THR, with brand new characters and actors. We'd heard Will Smith, Margot Robbie, Jared Leto, and Jai Courtney could possibly return as Deadshot, Harley Quinn, Joker, and Boomerang, but as of right now that has yet to be made official. It's possible Gunn completely wipes the slate clean. Robbie is busy with Birds of Prey, and Leto has moved over to Sony/Marvel with a Morbius film. I have a feeling he was never going to return as Joker, anyway. On the plus side, the Suicide Squad team should be fluid considering their core mandate. The membership consists of supervillains pressed into service by the government, chosen to take on jobs they will likely not return from. While Gunn was previously brought on just to write the script, he is now in talks to direct, as well. He's expected to bring the same vibe that made his two Guardians of the Galaxy movies a $1.5B success. I still find it odd to basically reboot a film that was a box office win, even if it didn't get great reviews. While there's nothing in the report that states it, it does make me wonder if Gunn's Suicide Squad will distance itself from the DCEU similar to The Batman and The Joker. I hope not. In other WB release date news, the animated DC Super Pets movie from Jared Stern and Sam Levine will open on May 21st 2021, and hopefully feature tons of Krypto the Super Dog. Robert Zemeckis' adaptation of The Witches, led by Anne Hathaway, has an October 16th 2020 date. Intriguingly, two untitled WB event films have been set for July 16th 2021 and another on October 1st 2021. The former is rumored to be “a big title, big stars, and four-quad”. Hmmmm...The Flash, maybe?